Health hazards – which includes an ingredient assessment. Efficacy – which figures in UVB protection, UVA protection, balance of UVA/UVB protection and sunscreen stability. Safety – which is based on the ingredient health hazard scoring system of EWG’s Skin Deep database. 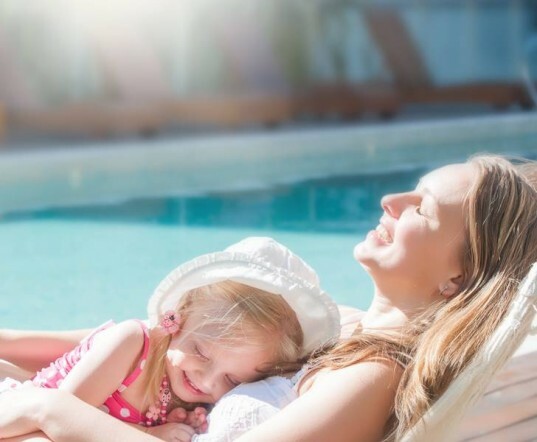 The overall rating for each sun protection product is calculated using an EWG formula that reflects a combination of the above factors. 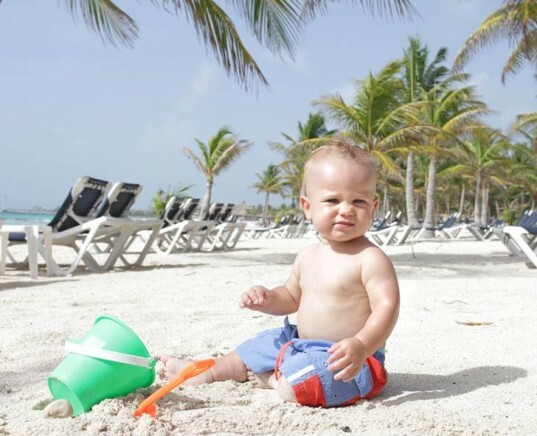 The good news: this year, 184 beach & sport sunscreens met EWG’s criteria for safety and efficiency. The bad news: those 184 products represent just one quarter of all sunscreens reviewed in 2013, meaning many sunscreen products on the market offer poor skin protection and contain harmful ingredients with potentially serious safety concerns. 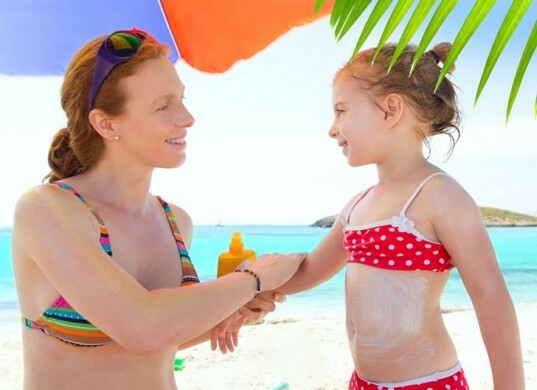 Keep reading to see key facts about this year’s sunscreen guide as well as the top rated and worst rated sunscreen choices of 2013. Just 25% of all sun protection products on the market in 2013 offer strong and broad UV protection and pose few safety concerns. This summer is the first sunscreen season governed by the new rules put into effect last December by the federal Food and Drug Administration (FDA), yet EWG’s review of the sunscreen market found only minimal improvements for 2013, meaning the FDA is slacking when it comes to encouraging companies to sell safe sunscreens. Many sunscreens available on the U.S. market do not filter skin-damaging rays safely and effectively. The FDA’s current definition of “broad-spectrum” does not ensure adequate UVA protection. Almost every sunscreen EWG reviewed does meet the new FDA rule for broad-spectrum protection. However, the FDA standard is so weak that half of the sunscreens sold in America could not be sold in Europe, where they have actual comprehensive and stringent sunscreen safety and efficacy protocols in place. Avoid sunscreen sprays because they pose serious inhalation risks and often do not fully cover and protect your skin. Avoid sky-high SPFs (anything higher than SPF 50+ ) which may protect against sunburn but also may leave your skin exposed to damaging UVA rays. Avoid oxybenzone, a chemical which flows right into your bloodstream and may cause allergic reactions, endometriosis, lower birth weight babies and and other health hazards. Avoid loose powder sunscreens, which like sprays, pose an inhalation risk. Avoid combination bug repellents + sunscreen. Use a sunscreen and use a different bug repellent. Avoid tanning oil products. Tans are harmful to your skin just like sunburns are. Avoid Retinyl Palmitate (a form of vitamin A) which may be harmful. Though note, the verdict is glaringly unclear when it comes to vitamin A. Many studies say vitamin A is hyper harmful, but a bulk of other research says it’s safe. There are four different categories on this year’s list, including basic beach and sport sunscreen, makeup containing sunscreen, moisturizer containing sunscreen and lip balm. The three worst sunscreens on EWG’s list this year got an 8, meaning they are considered unsafe choices. Those three poorest scoring sunscreens are Panama Jack Sunscreen Oil SPF 15, Panama Jack Spray Gel Sunscreen SPF 15 and Panama Jack Continuous Clear Sunscreen Spray SPF 15. Other low scoring beach sunscreens included pretty much ANY Walgreens brand sunscreen, Vichy Laboratoires Capital Soleil Sunscreen Oil SPF 30, most of the up & up sunscreens and Trader Joe’s Nourish Spray Sunscreen SPF 50+. When it comes to moisturizers with SPF, IMAN Time Control Oil-Free Moisture Complex SPF 15 scored the absolute worst, but other losers include Roc Deep Wrinkle Daily Moisturizer SPF 30, Philosophy miracle worker moisturizer SPF 50 and Neutrogena Ultra Sheer Liquid Daily Broad Spectrum Sunscreen SPF 70. Of course, this is just a small sample of the worst sunscreens of the year. The list of chemical-containing, poorly working sunscreens is much longer than the list of approved sunscreens. You can see all the ratings at EWG. The above safe sunscreens aren’t listed in any particular order. All of them scored well, and there are many more that made the list. Keep in mind that these safer sunscreens are very expensive. By very expensive, I mean a range of $6.00 to a whopping $20.00 per ounce. Health organizations recommend you use 1 ounce (the amount in a shot glass) of sunscreen for an adult, and a half an ounce for kids when outside. That’s about one 3 to 4 ounce bottle or stick of sunscreen PER PERSON per day outside. So if a family of four heads to the beach for the day, you’d need about $24 worth of the cheapest safe sunscreen. In other words, you may need to take out a small loan to afford sunscreen each year. Thankfully, Inhabitots is here to help! See our recommendations for safe and more affordable sunscreen choices. A great way to save on the cost of sunscreen is to wear sun protective clothing. With sun shirts you can significantly lower the amount of sunscreen you have to slather on.